Burn In testing is used to detect the early failure in the semiconductor devices. This test is done over the different electrical voltages for a long time period (usually over 48 to 160 hours). Usually this test is applied as they made to find the early defects caused by faults in manufacturing practice. 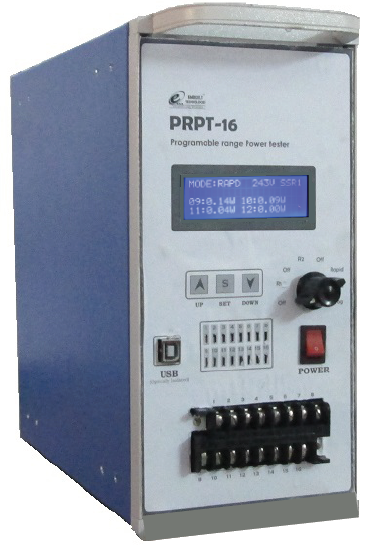 Measureing Instrument – User can use PRPT-16 manufactured by Embuilt Technologies. It has 16 Channels to monitor loads. User can connects the 16 loads and it shows the pass/fail indication for each load. LCD screen shows the voltages and current and alarm limits can be set easily. Connect the output of variacs in the input terminal provided in PRPT-16. Connect the auxiliary power supply. Set watt/Current limit for pass fail. PRPT-16 continue monitor all the loads. It show Green light for pass loads. If any load is faulty it will show Red light after the channel no. So user can know from far that which load is faulty. 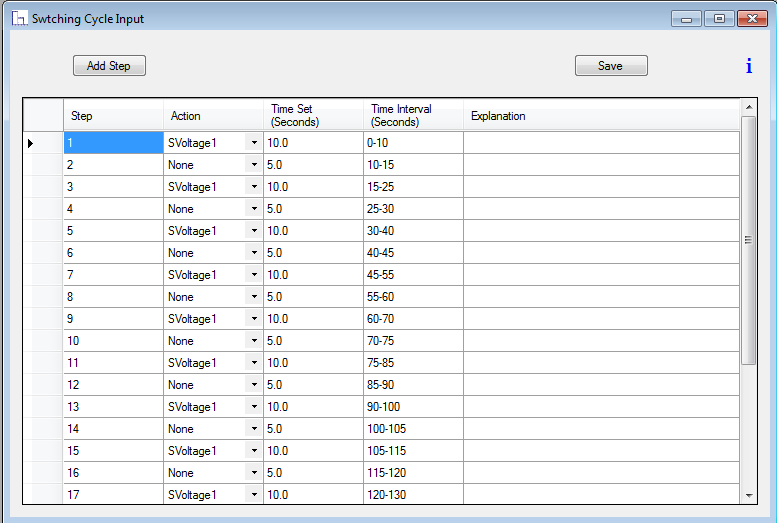 User can use Software interface to set switching period for voltages. In above image you can see the switching cycle to test any device. User can add many steps of his choice. Graphical analysis of Switching cycle helps to know the cycle time.